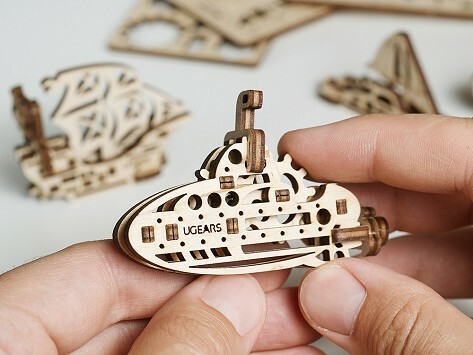 UGEARS mini model kits make building a fun and engaging hands-on experience. A tiny model is pieced together from flat, unfinished, laser-cut plywood parts that don’t need tools or glue to be assembled. It only takes a few minutes to create each model. A kit comes with four models that are all geared towards young builders and all have movable parts. Dimensions: Flat Kit: 3.9" x 3" x 0.6"; Each assembled: Roughly 1" x 2" x 0.5"
The kids loved them! Easy to put together. I got this as a present for my son. He loved putting them together.